>>Scroll down to the player below to listen to the entire album. 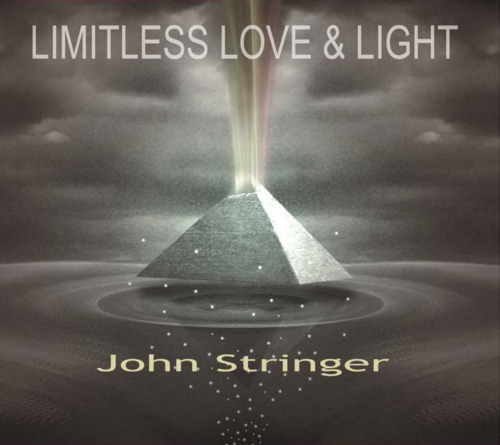 Order your autographed copy of John's debut solo CD, "Limitless Love & Light," which features new songs about life and the amazing power of love and light: lessons of human connection, acceptance, healing, and community; lessons of oneness, faith, love and change. The songs have a way of communicating these lessons in simple and effective ways that people really get - ways that open people’s hearts and minds to more love and light. When you purchase "Limitless Love & Light" here, you'll receive a signed copy of the CD. The bonus track it contains is ONLY available on the physical CD and on the digital album here or at polyplatrecords.com. It leads to additional songs you can download for free. The bonus track page is continuously updated with new music, so the value of the CD / album continues to grow. From John Stringer: "I believe we all have a soul's blueprint that reveals our roles at each phase of our life. I spent a lot of my life wanting to change who I was but I didn't know how. And I was living my life paralyzed with fear. Thoughts like these aren't what you think of when imagining love and meaning. But now I see why they were important parts of my journey and I understand that my role in this phase of life is to use music to share life lessons, help heal others and bring more love and light into the world. This isn't just incredibly fulfilling for me to do because I've always loved music (it helped me through my lowest times); it is also my life's work of helping others. Put them together and it's more than living a dream for me: it's a purpose. I feel incredibly honored to be inspired with songs that help people. I believe it’s a gift that I get to use to share with everyone!"